Meeting between BJP Chief Nitin Gadkari and Himachal BJP leaders failed as Gadkari failed to resolve the ongoing infighting in State BJP. 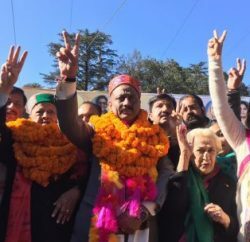 Former Chief Minister Shanta Kumar even walked out from the meeting and refused to mediate between rebel leaders. 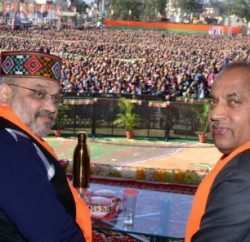 To resolve the infighting in Himachal, BJP Chief Nitin Gadkari has deputed senior party leaders Shyam Jaju and JP Nadda to take stock of the situation. 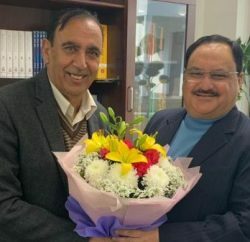 Shyam Jaju and JP Nadda will visit visit Shimla on February 12, 13 and 14 to interact with senior party leaders, MLAs and ministers and seek their opinion on the party affairs.